Hey guys, in this post we are going to focus on one of the important topic of GIS world, which is the “DATA CONVERSION”. Data Conversion means converting computer data into another format. With huge amounts of GIS data available for use, it is more cost-efficient and effective to convert the GIS data from one format to another than recreating all of it. 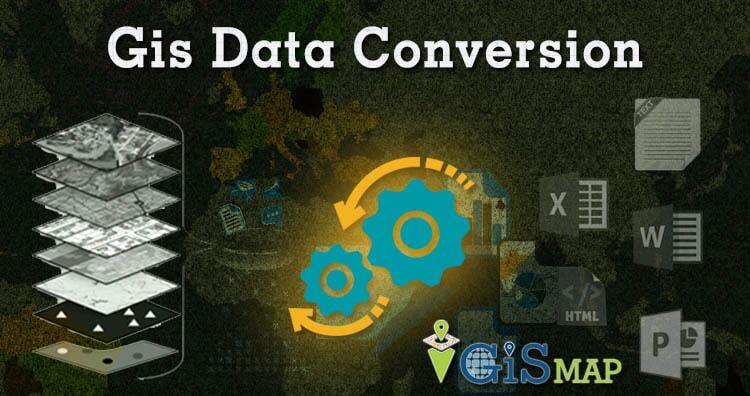 There are many ways to convert GIS data and the conversion may use special conversion programs. Simply, it may involve complex data exporting or importing procedures. As we know there are many data file formats used in GIS, this time we will be converting them from one format to another. To get the list of the various data file formats you can visit our previous posts. Vector data file formats in GIS and Raster data file formats in GIS. To make datasets usable together in GIS, it is necessary to convert the both vector and raster geospatial file from one format to another. And for doing the Conversion we already have posts about the data conversion from GeoJSON to Shapefile and KML to shapefile and many more, but they all have a long way to convert the GIS data. The Alternative to that is some free and commercial converter software or tools available on the web. There are a Lots’s of tools available on the web, but I recommend you to use IGisMap converter. IGisMAP Converter is an online tool to convert GIS data from one format to another format. IGisMap converter provides On-line conversion and transformation of both vector and raster geospatial data. In this on-line converter tool the uploaded data file is allowed to convert into various GIS data format. IGisMAP converter can convert bulk amount of data into another format using any coordinates reference systems. And then you can download the converted data or store it into MyMapData. This all about IGisMap Converter tool hope it will make your spatial study easy. If you face any problem in data conversion then please comment or chat with us.